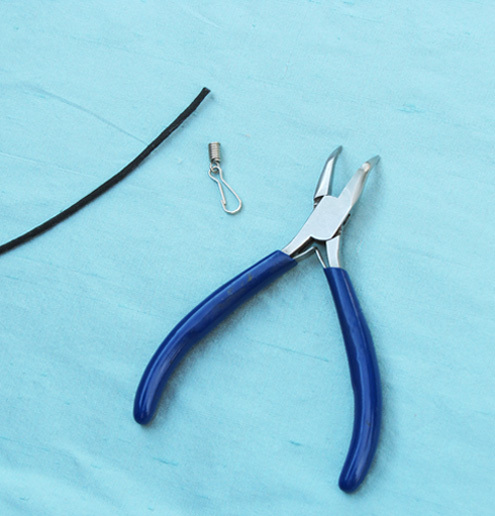 Attaching spring cord ends is the easiest and most secure way to finish leather, waxed cotton, suede, rubber and rattail cord. 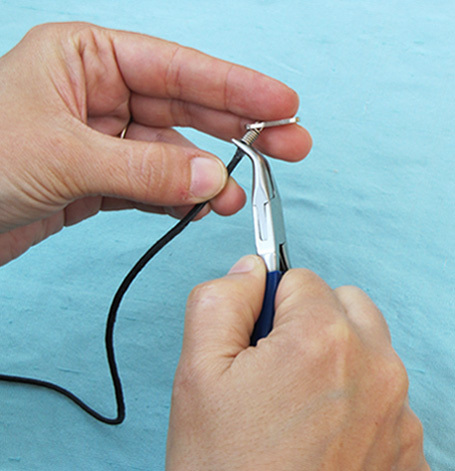 Simply insert the cord of choice into the open end of the spring attachment. 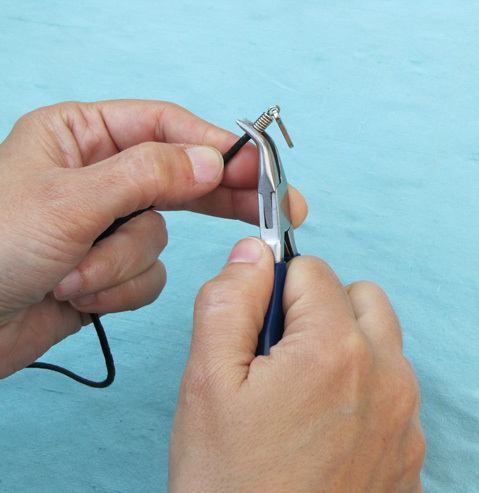 Place your needle nose or bent nose pliers on the end of the spring. 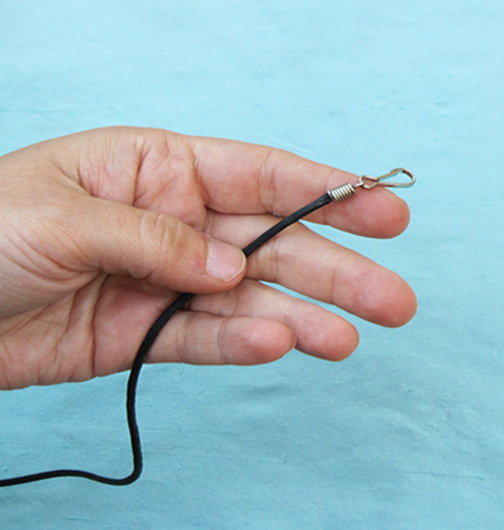 Squeeze hard until the end of the spring pinches tightly into the cord. Now repeat the same process for the non clasp end. Test them to make sure they are secure and you are done! 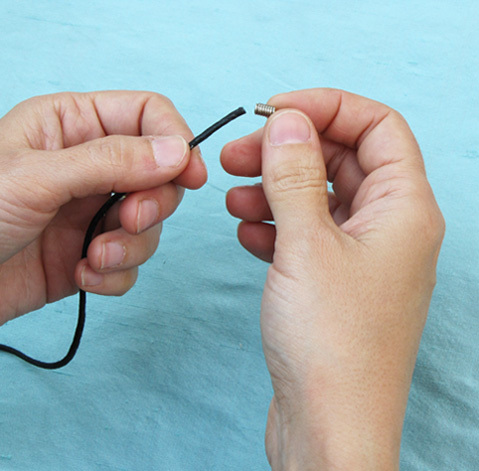 Tip: For extra security you can dab a little glue on the end of your cord before inserting it into the spring.